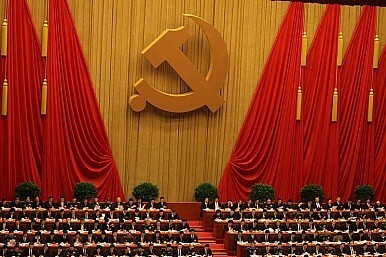 The CCP’s fifth plenum laid out the plan for China’s development over the next five years. As I noted yesterday, China’s aging population – a byproduct of the one-child policy and the accompanying low fertility rate — is a problem the CCP has long seen coming, but one it has only recently started to seriously deal with. The biggest news story from the fifth plenum was that China has finally officially scrapped the one-child policy, and will allow every couple in China (every married couple; that’s an important caveat) to have two children. In practice, though, this change likely won’t mean much of a change in China’s fertility rate – Beijing already allowed couples to have two children provided one partner was an only child. The move is still politically significant, however. Enforcing the one-child rule has been an important source of income for some local governments; moving away from that means the demographic crisis is now seen an important enough to trump local resistance. What will be of more lasting consequences for China is the decision to extend social security (“old-age insurance,” to use China’s term) to cover its entire elderly population. An online survey done by China’s state-run media outlet Xinhua found that social security is neck-and-neck with environmental protection as the issue most people care about (73.7 percent verse 73.8 percent, respectively). China’s retirees can no longer rely on family networks to provide for their needs, and there are increasing expectations for the state to do more – particularly for the elderly who fall through the cracks of China’s fragmented social security system. At the third plenum in 2013, the CCP committed itself to the “comprehensive deepening of reform” in China’s economy. The plenum set up a new “leading group on comprehensively deepening reforms,” headed by Xi Jinping himself, to oversee China’s transition away from an export-reliant, investment-intensive economy to one based on innovation, consumption, and the service industry. Just as with China’s demographic woes, Beijing has long known that its economic model was not sustainable, but wholesale change is a difficult and drawn-out process. This year was the best chance for the new leadership to set its vision for China in stone, as the 13th Five Year Plan will be the first one approved by Xi and company. The fifth plenum thus affirmed several of the key aspects of China’s economic rebalancing. First, Beijing emphasized innovation as a key part of China’s national development, according to the fifth plenum communique. The government will continue to do its best to nurture innovation and entrepreneurship, particularly in the fields of science and technology (but also culture, a hint that China remains frustrated by its soft power deficit). As concrete measures to help new businesses (and thus foster innovation), the communique promised “better allocation of resources including labor, capital, land, technology, and management.” That’s a tall order for China, where access to those resources has generally been tightly controlled by the state, and monopolized by state-owned firms. But allowing market forces to allocate resources – something promised in the third plenum communique – is a crucial step for China, many economists (such as Yukon Huang of the Carnegie Endowment for International Peace) have argued. The fifth plenum communique also said that China will “significantly raise” the role consumption plays in economic growth and seek to foster “high-end” industries. Both of those points signal an attempt to move China away from being the “world’s factory” (with the reliance on exports that implies). Despite all the changes, the fifth plenum said China would aim for “medium-high economic growth” for the next five years, indicating the Party will not let growth slow too much. The CCP also doubled down on its pledge to double both its 2010 GDP and the 2010 per capita income of urban and rural residents by 2020. That’s a key part of the first “100 year goal” for the CCP, which wants to establish a “moderately prosperous society” in China by the 100th year anniversary of the Party’s founding in 1921. But the goal looked far more achievable in 2010, when China’s GDP was growing by double-digits every year. Today, with year-on-year GDP growth slowing to below seven percent, it’s a stretch. It’s hard to see how China can fulfill both that pledge and its promise to prioritize “quality” economic growth. China’s government has finally become serious about cleaning up the environment, after decades of a “grow-at-all-costs” mentality. The communique insists on “green” and “sustainable” development, where China saves resources and protects the environment. Protecting the environment is also linked to two of China’s other key goals – urbanization and modernizing the agricultural sector – which should be done in an ecologically-friendly way, according to the communique. The communique reaffirmed China’s intention to move toward a cap-and-trade system for carbon emissions, but also mentioned allocation systems for power and water use. It also called for a system to supervise environmental protection efforts at the provincial level and below, effectively holding government officials accountable for environmental damage done on their watch (a step Beijing has discussed previously in more detail). The communique also said China would “make new contributions” to global environmental protection – a good sign for the upcoming UN climate change conference in Paris. What's different -- and what's not -- about China's economic planning for the next five years.